This episode originally aired on February 29, 2016 but I am replaying it because not only is it one of my favorite episodes but Mandy talks about record keeping being so important for market farmers and since my Garden Journal and Record Keeper is now live on Amazon I thought this would be a fitting episode to play! Hi listeners! 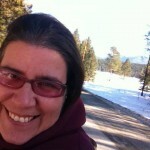 I am pumped up today to introduce my guest from the Lower Valley Farm in Kalispell MT!!! 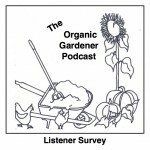 When I first heard the term “Gardening Crossfit” coined by Kelly Ware in episode 28 of the Organic Gardener Podcast, I have noticed several of my guest who have completed a “gardening crossfit” challenge this year. Now I have to admit I am awarding my husband Mike with 2nd place and I will post a page of the top 10 crossfit gardening episodes on the Organic Gardener podcast.com but today you are about to hear from a woman who epitomizes the essence of Gardening Crossfit the Amazing Mandy Gerth!!! So welcome to the show today Mandy! So I’ll let Mandy tell you more about how it works. Congratulations for being the Organic Gardener Podcast’s Crossfit Gardener of the Year for 2015. I’m not sure what prize you’ll actually get, maybe I can make you a certificate but you definitely win the award!!! Great, so my name is Mandy Gerth, my husband Jay Cummings and I farm together at the Lower Valley Farm. 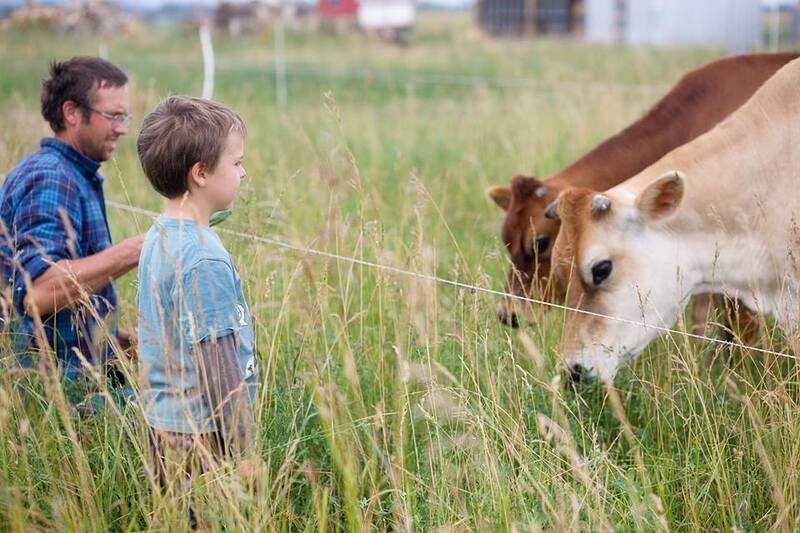 We’re going into our 5th year this year, we’re a diversified 70 acre family farm. So we raise nutrient dense vegetables, grass-fed Angus beef, grass fed Catodin Lamb we do all that for our community. We also have a little gaggle of chickens, a couple of hogs, and a jersey cow we keep that good food for our own family. Jay is from Montana and I am from Indiana. We met in Art school and moved back to the valley farming full time just a few years ago. Jay and I have 3 young children. They are 4,6, and 8 years old.. We tell people all the time we are a family farm, one of the things we try to remember always is that family comes first! A farm can completely swallow you. Our kids are our most important project here. That’s like our first priority. They’re getting a great upbringing. Growing up in a beautiful place, not just being in Montana growing up now a farm they are very lucky! One of the other things I remember at your place that I forgot is your cows are so fun!!! and playful! They’re really used to being around people, part of that we have separate herds. In the summer time that lives with our Cotatadin ram, at that time of year there’s also a dairy calf, and the chickens are all in a rotation together. They’re used to seeing the kids a lot. The Angus and the rest of the flock are out in the big pasture. Which is 60 ares. Jay actually goes out there every day and moves them out of fresh grass, so they’re used to seeing him, so all the livestock around on our place are used to being around people. It’s nice for farm tours because they don’t just run away! No they were just the most lively friendly cows I’ve ever seen! Neither of my parents ever had a garden, I don’t think we even had flowers, just a yard. But I begged my dad for a garden, and he made me a 4×8 little bed. I really liked it, I don’t remember if anything grew. I just had flowers I think. I got started with a vegetable garden in college. Everywhere I ever lived in college I always had a garden. I never thought of it as a career at all. It started getting serious after our oldest child was born, that was about 9 years ago. As our family got bigger, each summer I made our garden bigger. We were living in town at the time, every bit of yard was covered in garden. Fruits and vegetables and lots of flowers too! Yes, our big family garden was in southern Indiana, which is where I’m from. Wow! That’s a great introduction. It’s a kind of nice way to introducing gardening by starting small. The guy who runs my podcasting class., He talks about the baby effect. When you know you have to do it to feed your baby making those phone calls or going to market doesn’t seem as scary. There’s lots of different ways that you could answer it. so to me, organic food, nourishing food, nutrient dense food means hope to me. And all the info for a regenerative global food supply are already here! And there’s people all over the world doing something amazing! choosing as the to grow nourishing food and build soil! Some as a backyard gardener and some as a career choice. To me that’s amazing! That in spite of all this negativity, people taking it into their own hands and growing awesome food! but there’s no nutrient dense farms without us crazy nutrient dense farmers who are so dedicated to soil health and human health, but there also can’t be farms like ours without all of these awesome consumers who seek us out! 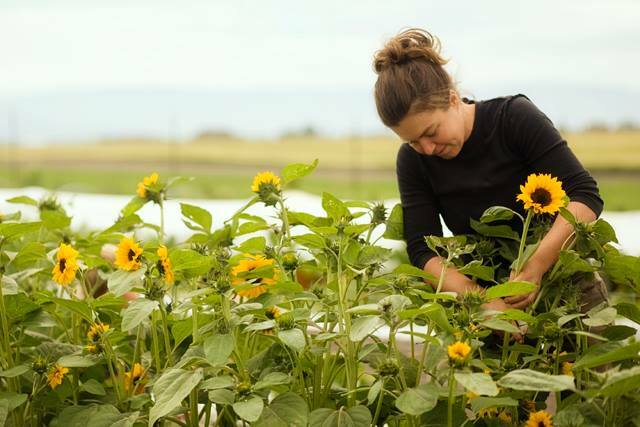 So it’s this really beautiful partnership between committed farmers dedicated to growing good food and committed customers who are invested in food choices. Food choices influence your health and food choices matter. When I think of organic food I think of the the power we have to heal with food. And that’s such a hopeful message. That is awesome, it kind of sums up the message I want to get our there with show. You are an amazing person is who is growing the food for people! I just talked to Andrew Malucelli from the NRCS. He’s in the Western Growers Coop. The first time I heard of nutrient dense food when I talked to him, and maybe some guest is gonna say I talked to you about that. He was explaining to me about the difference between red leaf lettuce and green leaf lettuce. I always knew if something has more color is gonna be a little healthier. Do you want to talk more about what nutrient dense means? Minimal tillage so you are not disturbing the top couple of inches of soil where most micro-organisms live and where they’re bringing nutrients into your soil. Perennials which have deeper roots that can go down and get past that top 6 inches that’s where the nutrients have been farmed out of the soil. William Albrecht was a soil scientist who was interested in deep nutrition including the macro-nutrients in the soil, not just npk. And his research has been very influential and it’s the research that Acres USA is continuing to research, also that the Weston A. Price Foundation (which is based off the work of Dr. Weston A. Price) is building on. 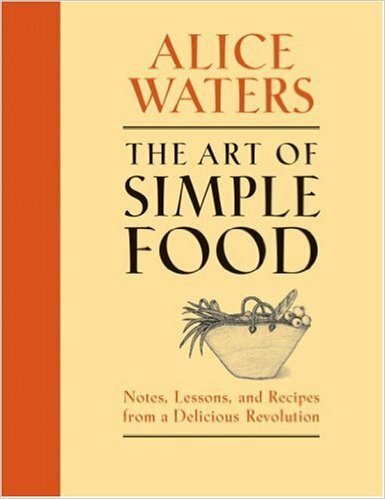 The work of both Albrecht and Price is hugely influential to lots of new generation farmers, like Jay and I, and pretty much every little farmer I know, we all want to not just be growing stuff without chemicals but growing nutrient dense food that’s using the soil and building soil and working holistically with nature and natural systems…. How do we nourish the soil in a more holistic way? Where we’re getting all of the micro-nutrients that we possibly can into the awesome vegetables or into the pasture so that when the cows eat them and it goes with the underlying the principal that soil health is directly influencing human health! You know like DONT Put Poisons on your food! 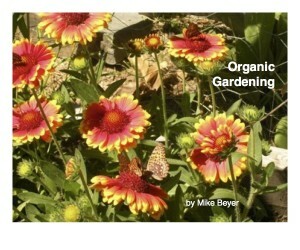 I think as a beginner gardener I had the same idea that lots of consumers have, which is that organic = no chemicals. And what I have learned in the last 16 years, is that organic is so much more then that! So its not just what we don’t do, it’s what we are doing! We’re doing so much that makes improve’s the soil health! It makes crops more drought resistant. Basically you take care of your soil, your soil is gonna take care of you! And that is so much of a bigger thing then not spraying chemicals!! I think you’re gonna inspire a lot of people, maybe that think I tried to grow vegetables and maybe that’s what I’ve been missing, I just tried to grow things without chemicals. Speaking of Kelly Ware and the permaculture and you had a hugel-kulture bed at your house. That’s the first time I had ever seen one! There’s a great book, an ok book by Mark Shepard. 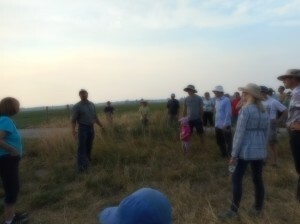 He talks about how to take permaculture to a farm scale, which is a great question. I read it wanting to, some other books have been instructing on your farm, it’s really a great primer for backyard gardener on what permaculture is, but it’s really instructive with some of these ideas. I’m totally self-taught. IDK if I’d recommend that to other people who want to be a commercial grower, but that’s what we did. Part of that is we had 3 little kids, when we started they were really little. But moving someplace to intern, probably would have been smart. That would be hard, how would you intern with kids? we’re gonna be our own interns. and we’re gonna make this work. I’m totally self-taught and I’ve learned a lot from books .And of course from practice. What I learn a lot is from taking notes and going over my notes. Over the last 15 years, I’ve become at really good gardener but now I’m trying to do this other learning curve which is a lot harder on how to become a really good farmer. It’s definitely a challenge but more and more up to it every year. You’re doing an imaging job and inspiring AND Educating. Look at all those people what were there, I thought there were gonna be like 6 people there! And you did a great job I learned a ton! Tell us about something that grew well this year, those we’re some of the tallest tomatoes I’ve ever seen in my life! Yes, no, I’m originally a New Yorker, but I’ve been in Montana for like 25 years now. In Indiana, the tomatoes could take over your house! But we did have a really productive year n 2015 , it warmed up unusually fast here, so all the warm season crops, did fantastic! the winter squash was just great! The eggplants and the peppers! We actually got to harvest melons which is always exciting in Montana! Everything that loved heat, so we had a really productive year! Great yields especially those warmer season crops they did really great! This is our fourth year, there are so many changes we make each year. This year our primary focus is on efficiency. We’re attempting to keep that same level of production that we had last year. I don’t think I have said. We did 2 acres of intensively planted vegetables. So our goal this year – this is ambitious! Is to work 20% less hours total then we did last year with the same yields, the same sales, just less hours! So now we’re looking over tools and seeding and harvesting and sales and trying to make everything more efficient! We were joking the other day, our farm, our practices are really sustainable for our land, but for 2016 is the year we want to have a sustainable workload! The year we want to be sustainable for a human!! That’s our new thing! A sustainable workload?! We’ll see call me in July! Yeah because now I understand so we only planted more about an 1/8 of an acre or a 1/4 acre. Yeah, you’re like 8 times what we did! And my listeners are like, yeah Jackie we know Mike did all the work! Haha! Each garden plot is a different section, and each one is 1/3 of an acre. We have like 6 of those. Do you want to explain where you came up with that? I stole that from I’m probably gonna kill his name becasue I’m a hosier and this is a French name, but The Market Farmer Jean Martin Fortier. I have had lots of people recommend that book. IT was a great way to say his name! So when you’re ordering your working off 100 feet, so all of your drip irrigation is 100 feet, all of your row cover is 100 feet, it’s really smart! When we get our “to-scale” map out, I’m doing my planning for the year, because as soon as you pull something out, we’re putting another succession crop in! So, doing my planning for the year thinking of a 1/3 of acre. We do a huge amount of planning beds and the succession plantings. So we never have too much of one thing. 8 interesting things to go in our CSA boxes each week. What makes you go through all that to do the CSA and the Farmer’s Market both! What’s nice about doing both is I want to always have are the 12 things I always want to have at market. But you know what if there’s aphids in my lettuce or it bolted and I don’t take lettuce to market it’s not big deal. Somebody else there is gonna have mix. Whereas market week, I take whatever I have extra! Like putting 500 bundles of kale into my CSA shares, you know what I mean? The weeks that I have a huge amount of summer squash, we’ll take that extra to market instead of bogging down our CSA shares. 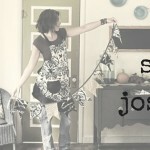 They work really well together because at market it’s awesome because sometimes your so busy and you sell out right away! But then sometimes you take that same product or it rains. So with CSA you’ve got your dedicated customers, but what if it hails? So the two nicely complement each other, they work really well together, and hopefully maybe a couple of years well be adding some wholesale into the pick. Well! That was full of golden value bombs? IDK what to call them, golden sweet potatoes! There were things that didn’t work this year. Also with that heat we had, what really messed us up last year, Awww Mann, we do almost everything from transplants that’s because we plant intensively and and pretty high production for this acreage. Putting things into transplant, stuff is not in beds as long, usually in May for setting out transplants in NW Montana, its the perfect transplanting weather, it’s cool, you get this misty rain for weeks on end at time., overcast great transplanting weather, this year it was just hot, and it didn’t rain and it was sunny everyday! Thats not ideal for setting gout transplants. If I would have had a crystal ball, I would have direct seeded everything, but we didn’t but we had a plan and stuck to the plan! Our first planting of all of our early greens did great they were fine, but our 2nd planting, which by 2nd planting of greens means it goes in 3 weeks later, just bolted. So there’s bok choy in the compost pile. But its part of it and it happens! This year we were able to save a lot of our spring greens from that heat, kept stuff covered with row cover and we watered a lot, that moisture kept things cool. The watering helped. You’re gonna lose stuff very year, it wasn’t frost the challenge was early heat. That might happen again. I was looking and the snow is almost gone. I was looking at the mountains, we did get some moisture in July instead of our typical June rains. It was a record-breaking drought year. The last five years in a row in Montana have been record breaking heat! I think.I liked the way you talked about, you can’t predict the weather. Would you do something different? This year we would water, and just the water was just gone! That was another thing after I came back from our place and I look ed at my husband, we finally dug a well, 560′ deep, and it seemed like last year every few days, the well was dry. I am hoping there was a leak. Also we had a lot of stuff bolt in the early season but I was gonna ask you.? But then our fall crops were way stronger then we’ve ever had and the spinach was so sweet and it just came back because I didn’t pull it. If I have 1/2 of a planting germinate you have to decide do I want to keep this? we did have some really nice fall crops, we also had some not as nice fall crops, so what I did was I decided to keep that cool 1600 feet, all the stuff that didn’t germinate, those rows I kind of marked them off and I over seeded a cover crop there. I decided to keep it. I over seeded oats just to be there, then when we clear the bed in the fall, we can let the chickens and pigs go through there. If your growing for market 120 days between you have live stock on any bed and the time you are gonna be working in there again. It’s a food safety thing. The fall is a good time if you are growing to sell things to let livestock in, so you have that time. Nobody’s really talked about that, somebody talked to me about that, I wasn’t really paying attention. We got 4 sheep last fall but we just have a few chickens. If you’re just gardening for your self, honestly I don’t see any problem if you are pretty confident about you immunity having livestock I don’t see any problem if they get in there all the time. This is the first time they’ve been able to get in the garden and I’m sure Mike’s gonna take care of that, and then he sheep are in their paddock or pasture.? What is really great about growing vegetables in Montana, that I think lots of Montana folks take for granter is for me being form Indiana. Is the the amount of the year that you can grow awesome lettuce is amazing to me! That’s really cool. they’re not taking out crops, they’re just there. we have a small amount of flea beetles and getting to know when they are gonna be out and cover with row cover, If they get in there then it’s the best conditions fro them to propagate. So it only works if they are not there. look there’s 3 aphids in 20lbs of lettuce. the predator bugs had long enough f there lifestyles, to catch up with the bugs that eat vegetables. It’s the real deal! It’s working. we do lose some stuff, we have some root maggot, flea beetles, but it’s not too bad. if you’re getting started with home gardening. And the bees love them, and the butterflies, and those beneficial insects. 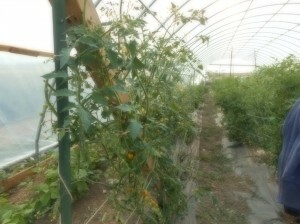 trellising tomatoes when they get too big! You’re always making these priority calls. Some days I don’t make it to the garden for a few days in the summer… on the other side some days I go towed there when the days are long and I feel like things have grown 3 inches since the morning. last year I just figured even though I’ve done it lots of years. game changer for us we sell a lot of carrots. customers at the market love them. and they’re getting dissolved by that heat. before the carrots come up, you flame weed them again, and that is where you hit the jackpot! What i’ve done in the past is either flame weed it too late and you kill the carrots, That’s sad! people who say it does work is probably waiting till they’re too big. makes growing carrots for market, I can do this! Instead of OMG?! How am I gonna do this? Sunflowers to grow last year. make sure it it’s water, make sure to protect it from pests. depending on what’s gonna be in there next spring. Your just lifting the soil. Now that we’re on a big scale. It;s a really awesome tool! Because somebody since then came on my show and said that’s what he should get. We have a flale mower? And we have this rotary plow that makes raised beds without disturbing the soil in a very intense way!!! So it used to take us with the biggest hoe ever. the grape hoe, bigger hoe, really easy to blow your back out with it, so be careful. in 6 hours did 32 rows! It’s amazing. 32 Wow! That’s a lot! So a lot of our land is forest right now, I mean like you have to cut down the trees, dig out the stumps. get it cleared it out, in the fall, you might want o have someone and get it started disc harrow that in the fall just to get it broken up. And just to get things started, you can use the biggest rototiller once to get things kind of to be able to work the soil, and then after that the BCS will be your most appropriate tool. To move all the piles of manure around in the spring to get them in one big pile. And any time we need to break up sod for new beds. So do we need that tool? Not right now. Now when would I want a bigger tractor?For me, for our farm, I would say, if we were going over 5 acres of vegetables, then we would and then I’d want tractor mounted weeding implements, a basket weeder. For kind of a half acre intensive 2 acres, and it’s a nice tool, becasue if we ever do scale up. scale up for raising our hoop houses, for all the lettuce beds, it’s really an awesome tool. that BCS is a really nice tool. It’s still gam great tool for homesteaders, gardeners and small farms. You use a tractor to put them up?! W’re probably not the best one to put them up. this will take like 20 hours, it was a lot more then that! So yeah, putting up the hoop house, we will do more of them in the future, and Im sure the more you do it the better you’ll get at it. It’s also something if your not able to put it up the NRCS will let you know who to hire to do that for you. I don’t think it’s gonna be that big, I think it’s just gonna be like 20 x 20. That’s a lot smaller. making the 20×30’ hoops, I think every gardener in Montana should have one. Never mind that’s what we made our floating hoop cover out of. IDK this is the part of the podcast where it’s very clear I do all the gardening and Jay does all the projects. what we do a lot of is just storage the food. canning and canned stuff. I kept all of our fermented beets and stuff in the basement. Now I don’t do quiet as much sour kraut and beets and stuff, I do some and I just keep it in an extra refrigerator. working mother of 3 when the tomatoes are coming on, we are still so busy, so I keep any tomatoes I bring back from market, or that is questionable, I just stuff them into food safe plastic freezer bags. food grade freezer bags is really important. get those out and make sauce in November. Mike makes this herb cheese bread from there that’s really good. My mom got him that cookbook for Christmas one year. Do I really want to sell produce? 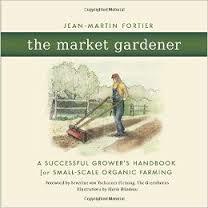 as a gardener going to the place, you can’t just sell what you want to eat, you have to sell what you want to buy. Because us gardeners are used to eating anything that comes out of garden, it could be a little too big, too small. But when you are at market you want it to be the best there is, that’s your standard! Anything else does a disservice to you as a seller. So my favorite ag charity is Heiffer International. 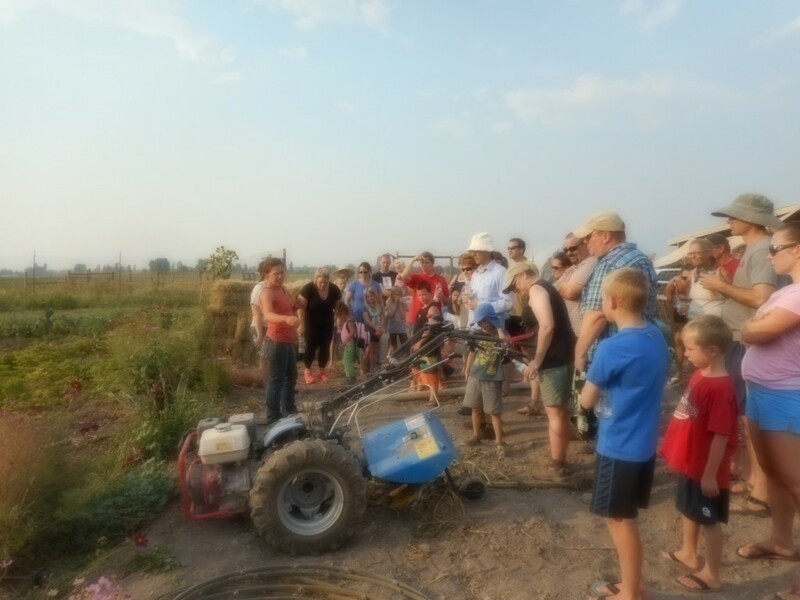 They train farmers around the world with ecologically sound farming practices! So that is a great cause. There is a global food movement happening and we’re all a part of it, everybody here listening to your awesome podcast. We all know that soil health is directly connected to human health. Soil health is brimming over with health and promise. There’ farmers willing to dedicate to growing this food/ Whether its one itty bitty plant or acres, it’s all awesome and already here! important to put our focus on! We’ve got answers we don’t need to wait for somethings else to happen. If you think that you can’t grow your own food, YOU CAN! Every seed that doesn’t germinate or bug that eats your stuff, it’s not a failure. It’s just an opportunity that’s there to teach you, it’s worth it! Lower Valley Farm on Facebook and Lower Valley Farm.com, and we’re on Instagram and we have a telephone! Lots of ways to find us. And we’re at the Kalispell farmer’s market on weekends!! !